The monthly political periodical of the Young Wales movement, which advocated its demands for the disestablishment of the church, land reform and home rule for Wales. The periodical was edited by the journalist Thomas John Hughes (Adfyfr, 1853-1927), until May 1889, and subsequently jointly edited by the writer Sir Owen Morgan Edwards (1858-1920) and the minister and writer, Richard Humphreys Morgan (1850-1899). 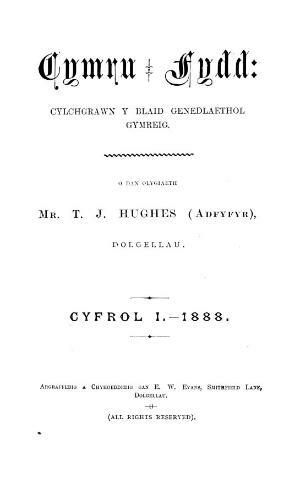 Associated titles: Cymru (1892-1927).